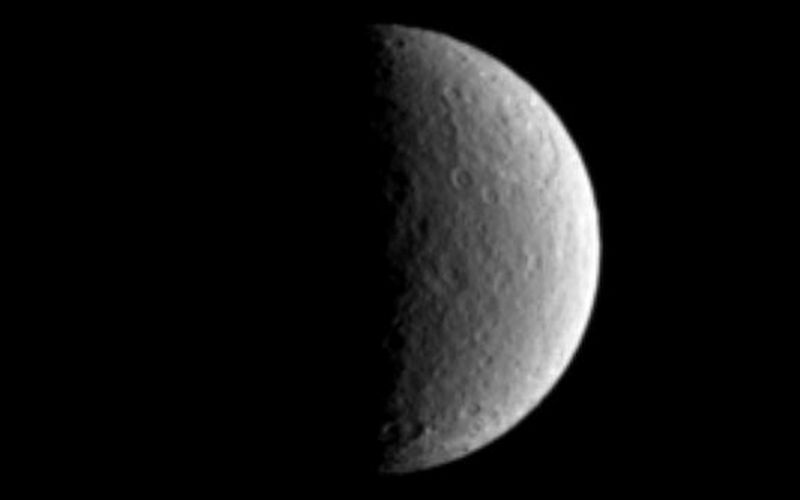 The large Tirawa impact basin on Saturn's moon Rhea is visible at the two o'clock position in this Cassini image. Rhea is 1,528 kilometers (949 miles) across. This view shows principally the trailing hemisphere on Rhea, and is centered on the moon's equator. North is up and tilted 25 degrees to the left. The image was taken with the Cassini spacecraft narrow-angle camera on March 13, 2005, through a filter sensitive to wavelengths of ultraviolet light centered at 338 nanometers. 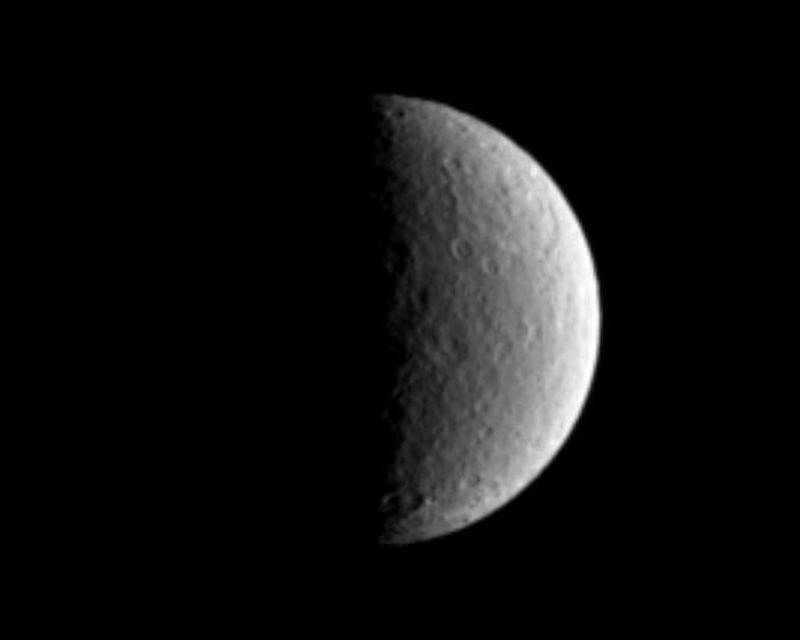 The image was obtained at a distance of approximately 1.7 million kilometers (1.1 million miles) from Rhea and at a Sun-Rhea-spacecraft, or phase, angle of 90 degrees. 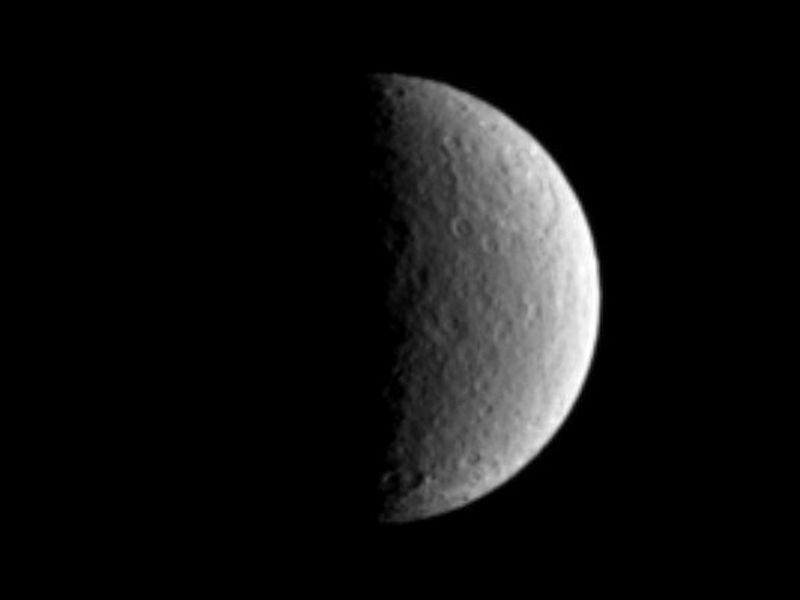 Resolution in the original image was 10 kilometers (6 miles) per pixel. The image has been contrast-enhanced and magnified by a factor of two to aid visibility.